Village poultry farming plays an important role in poultry farming sector in many developing countries. It represents important earnings and contributes to food security in rural areas. LAPROVET was the first to make popular a disease prevention program against the main diseases faced by village poultry. • Inactivated vaccine ITA – NEW (ND) against Newcastle disease contained in a PET vial adapted to the poultry farm size: 100 doses vial. • Internal antiparasitic in tablets, V.P.V. 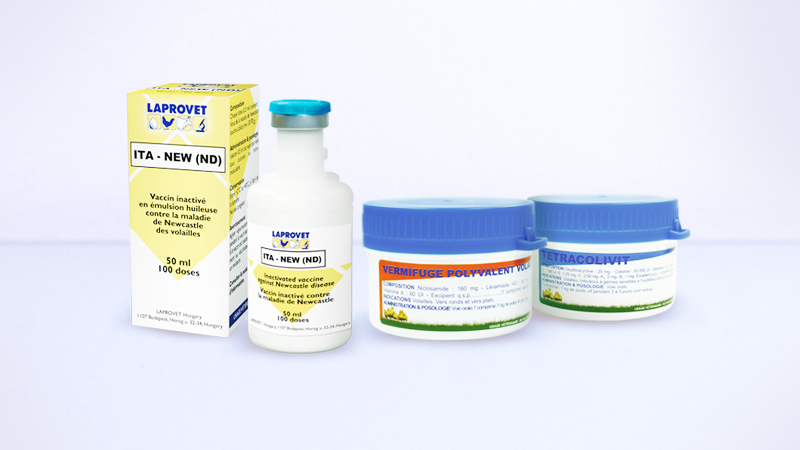 (polyvalent dewormer for poultry) which also improves the quality of the vaccination intake. Today, millions of backyard poultry are vaccinated each year with ITA – NEW (ND). This has a significant impact on food security of local populations.